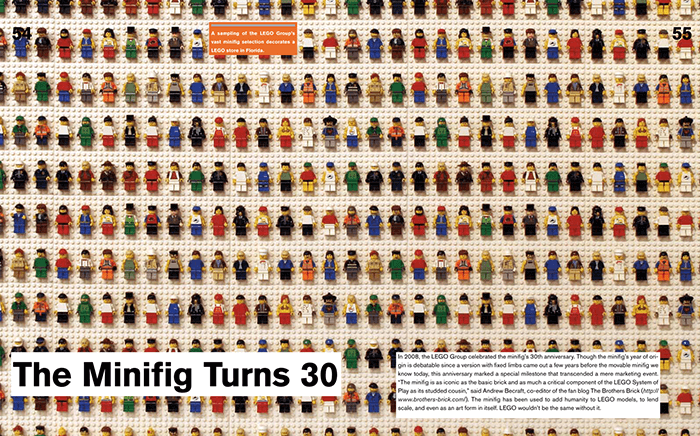 Download Chapter 3: "Minifig Mania"
In The Cult of LEGO, Wired's GeekDad blogger John Baichtal and BrickJournal founder Joe Meno take you on a magnificent, illustrated tour of the LEGO® community, its people, and their creations. The Cult of LEGO introduces us to fans and builders from all walks of life. 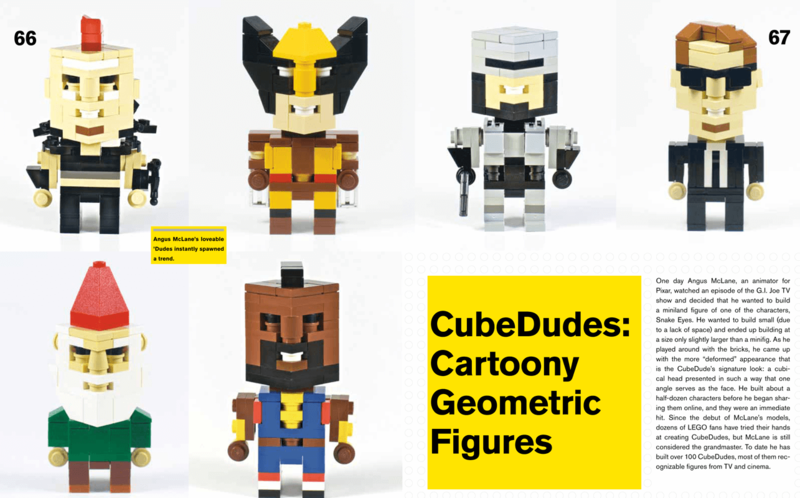 People like professional LEGO artist Nathan Sawaya; enigmatic Dutch painter Ego Leonard (who maintains that he is, in fact, a LEGO minifig); Angus MacLane, a Pixar animator who builds CubeDudes, instantly recognizable likenesses of fictional characters; Brick Testament creator Brendan Powell Smith, who uses LEGO to illustrate biblical stories; and Henry Lim, whose work includes a series of models recreating M.C. Escher lithographs and a full-scale, functioning LEGO harpsichord. 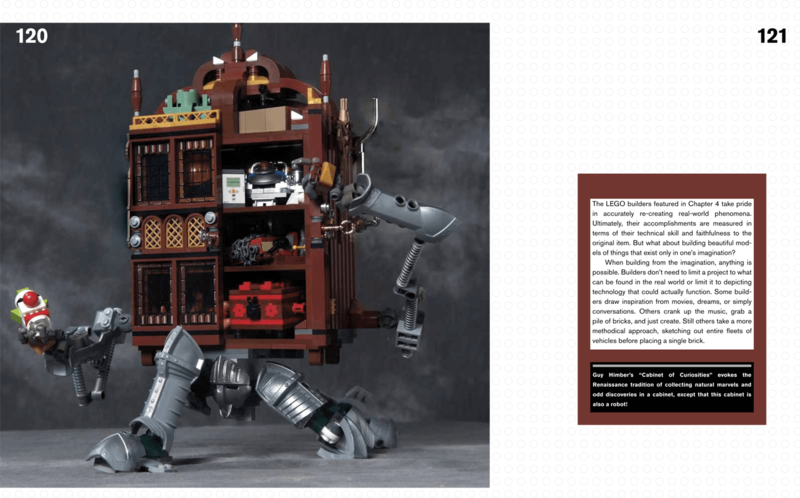 Whether you're a card-carrying LEGO fanatic or just thinking fondly about that dusty box of LEGO in storage, The Cult of LEGO will inspire you to take out your bricks and build something amazing. John Baichtal is a contributor to MAKE magazine and Wired's GeekDad blog. He has also written for legendary tabletop gaming magazines Dragon and Dungeon, as well as Kobold Quarterly and 2600: The Hacker Quarterly. 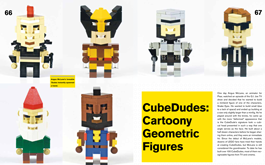 Joe Meno is the founder of BrickJournal, a print and online LEGO® fan magazine. He has organized and run LEGO fan events, acted as an advisor on LEGO projects, and helped design LEGO sets. "As much a geek treat of the finest kind as it is a fascinating piece of subcultural anthropology. An essential staple for your favorite nerd's coffee table." "When, in their exhaustive and rapturous survey of the multicolored building blocks, The Cult of LEGO, [Baichtal and Meno] present the original patent application drawing for what was then, in 1958, called a "toy plastic brick", the effect is that of viewing the tablets that held the Ten Commandments, or perhaps the Sistine Chapel artwork. The receptive reader is in the presence of the divine genesis." "Having grown up with LEGO over the last several decades, a veritable nation of zealous LEGOphiles has spawned. Authors John Baichtal and Joe Meno document this thriving subculture in their new book, The Cult of LEGO, a beautiful, coffee-table tome rich with examples of LEGO’s appeal and limitless versatility. " "If we're talking about inspiring the next generation of engineers, flipping through this book would be one way to do it." "The Cult of LEGO ... is well worth its weight in words. 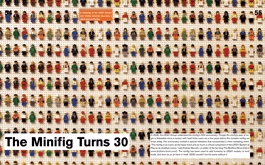 If you are interested in the Lego subculture—and there are good reasons, I think, why everyone should be—John and Joe's book provides a concise, handy, visually-searchable index where (and this bit is key) there was none before." "A crazy fun read, from cover to cover, this book deserves a special spot on the bookshelf of any self-respecting nerd." 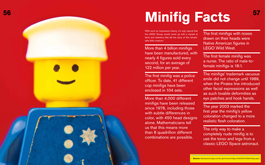 "An excellent book and a must have for any LEGO enthusiast out there. The pictures are awesome!" "We're all members of the Cult of LEGO—the only membership requirement is clicking two pieces of plastic together and wanting to click more. Now we have a book that justifies our obsession." USA Today featured the book on their Pop Candy blog, calling it "an excellent new book." Read more here. "Despite all the pretty photos, John & Joe manage to weave a thread of humanity throughout The Cult of LEGO, so that in reading it you can step into this tight-knit yet simultaneously open-armed world of builders and bloggers, brick artists and LEGO engineers." "There’s a point, when you have a collection of Lego that would stock a small store, that you feel like you’ve seen it all and heard it all, when it comes to the colorful brick. Then along comes a book like The Cult of Lego that makes you stop in your tracks." "Imagine a history class in LEGO that leads students from the toys' invention in the Danish village of Billund back in 1958 through to the present day. 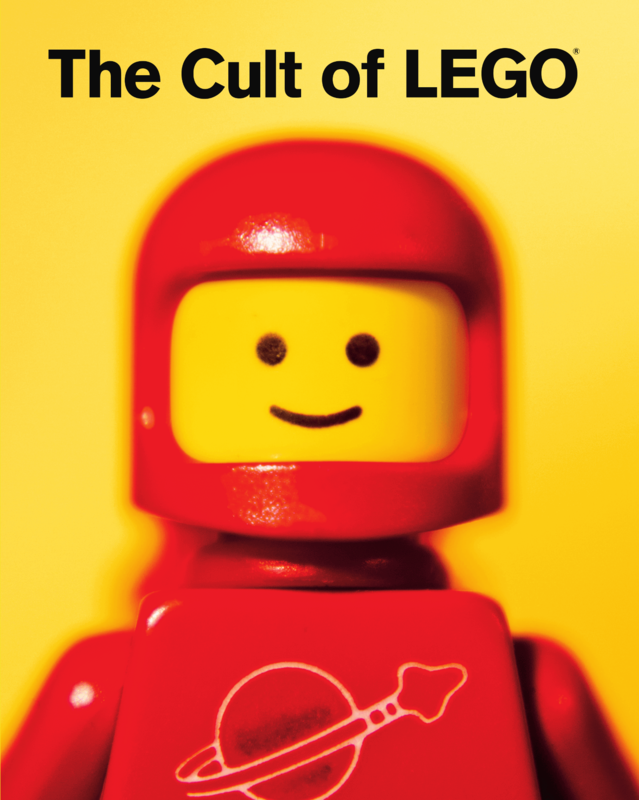 The Cult of LEGO would be that class's textbook." "The Cult of LEGO is a beautiful and substantial work, exploring the breadth of communities that have been grown around LEGO." "A marvelous new book... a great way to introduce your friends and family to the idea that LEGO bricks are more than just a toy." "I would certainly recommend this as a great read and a window into the world that is LEGO." "The Cult of LEGO is a testament to the massive creative potential that every tub of bricks holds. 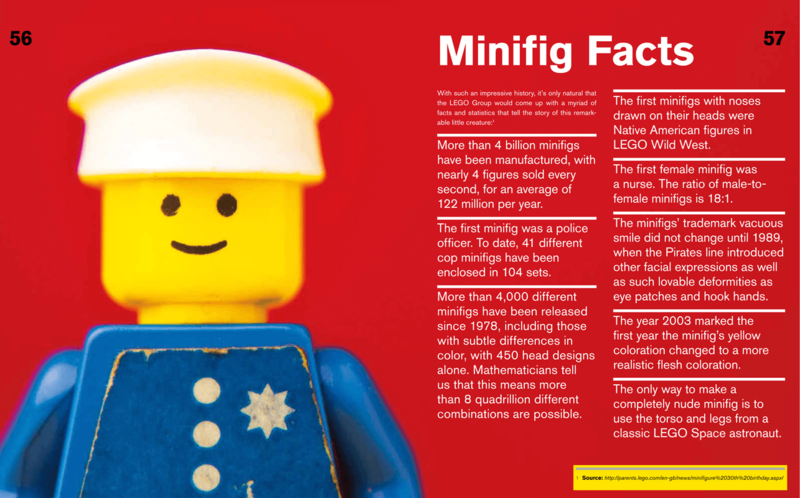 This book is a must for anyone who loves LEGO." "If you're looking for a horizon-broadening nostalgia trip gift, this is your go-to LEGO book." 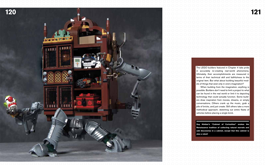 "If you're a fan of LEGO®, know a fan, or are just in the market for a good coffee table book, check out The Cult of LEGO." Request a review copy of the book. Download a high-resolution sample from the book (PDF). Download a high-resolution version of the cover (PNG).